Eat your way through different worlds in this cute adventure platformer game – Kirby Super Stars Ultra! 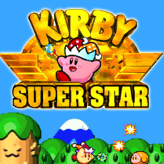 Kirby Super Star Ultra is an adventure platformer game released for the NDS in 2008. 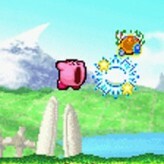 The game lets you play as Kirby, a cute, round pink, and a powerful being who can harness the power of what he eats! Run, float and fight your way through the levels as you fight against the evil King Dedede. You can also inhale enemies and spit them out as stars! Complete the main storyline to unlock different subgames like the Revenge of the King, Meta Knightmare Ultra, Helper to Hero, The True Arena, Card Swipe, Kirby on the Draw, and Snack Tracks, so you’ll never get bored on playing! Enjoy! There have been 28,442 plays and 257 likes from 304 votes (85%) since 13/10/2017. 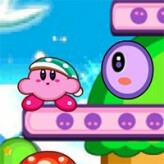 You are currently playing Kirby Super Stars Ultra game for free on Arcade Spot. It is a single game out of a variety of games that you can play on Arcade Spot. 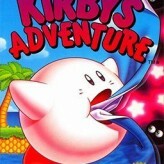 Play more games like Kirby Super Stars Ultra in the Action, Adventure, Arcade, Emulator, Nintendo DS, and Platform gaming categories. 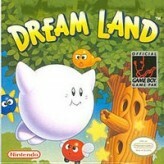 This game has a rating of 85 out of 100 based on 304 user ratings. If you enjoyed playing the game, give it a thumbs up. Free Online Games and Arcade Games are added every day. Arcade Spot will bring you the best games without downloading and a fun online gaming experience on the internet.